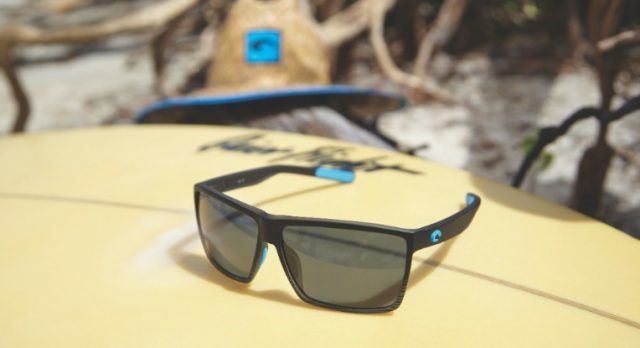 Evoking the spirit of the ocean and integrating West Coast style cues, Costa Sunglasses’® newest frame styles include the Half Moon, Rincon and Remora. These new frames don’t skimp on the performance features Costa is known for, and come in a wide array of colors and lens options. Each of the three new styles are durable and lightweight, and are constructed with Costa’s environmentally friendly bio-resin, which holds up under the harshest conditions. The new styles feature Costa’s 580® color-enhancing lens technology, which provides 100 percent UV protection and polarization, delivering the clearest lenses on the planet. Available in both polycarbonate and scratch-resistant Lightwave® glass, Costa’s 580 lenses selectively filter out harsh yellow light for superior contrast and definition while absorbing high-energy blue light to cut haze and enhance sharpness.